Timothy is a good kid who did a bad thing. Now he's under house arrest for a whole year. He has to check in weekly with a probation officer and a therapist, keep a journal, and stay out of trouble. But when he must take drastic measures to help his struggling family, staying out of trouble proves more difficult than Timothy ever thought it would be. Touching, humorous, and always original, House Arrest is a funny book for teens in verse about a good boy's hard-won path to redemption. 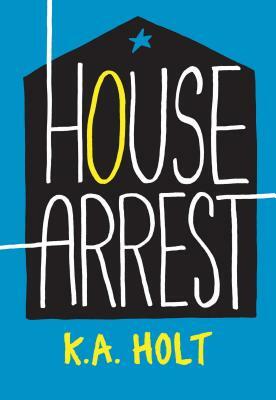 The ideal addition to any young adult book collection, House Arrest will delight reluctant readers and provides teenage motivation when it's needed most. K.A. Holt is the author of Rhyme Schemer, along with several other books for young people. She lives in Austin, Texas.